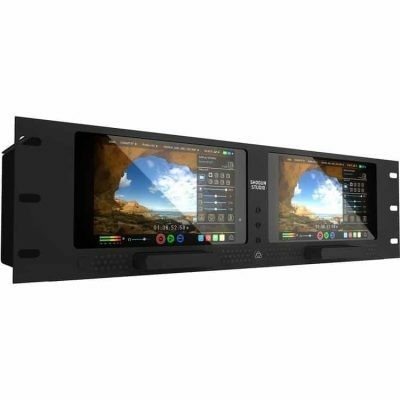 Harnessing the latest Atomos Shogun Studio Dual 4K/HD recorder, monitor and playback technologies the Shogun Studio enhances existing HD workflows and provides an affordable rack mount solution for creating 4K Masters. Atomos Shogun Studio Dual Record channels provides the ability to simultaneously record 2 separate inputs in your choice of resolution and codec. It also gives you the choice to record 2 versions of the same input for parity or to suit your workflow. Perfect for recording 4K Masters with HD deliverables or Full Resolution RAW to ProRes/DNxHR with lightweight proxies or dailies. 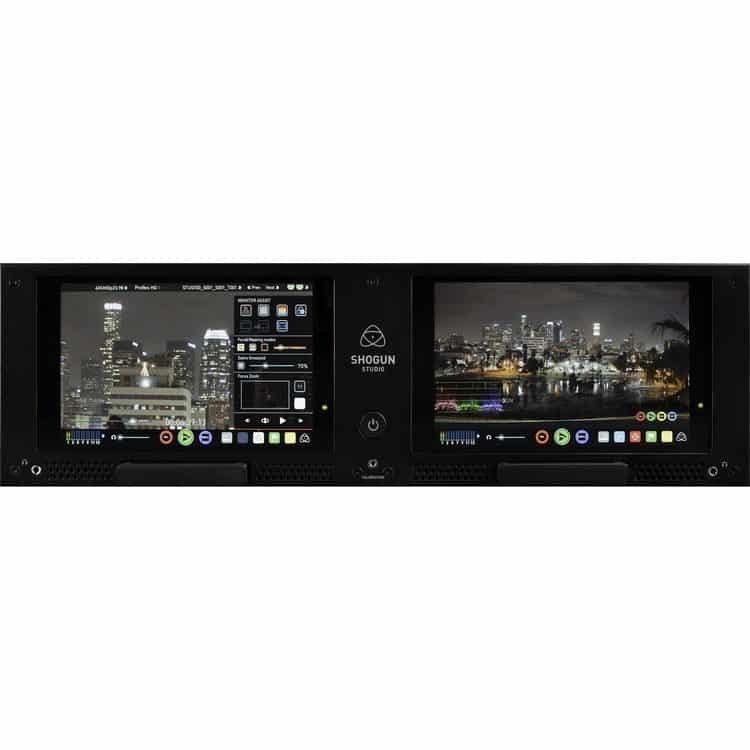 Atomos Shogun Studio Dual Full playback controls allow collaboration on set to review content the moment it’s captured, using the full suite of monitor tools on screen or out to a larger HDMI or SDI monitor. There is even 4K to HD downscaling to connect with existing HD infrastructure. Offering the lightning fast touch screen interface of the AtomOS for in rack control, remote control via AMP over ethernet and RS422 Machine control protocols to suit your operation via 9 pin din for flexibility in both Rec and Playback. You can also cascade trigger controls to enable multiple recorders to start recording from a single input. Save time in post by tagging your captured content the moment you review on set. Mark using 10 tags including Favorite/Reject in record or playback mode & even mark the i/o points for the tags. Create custom playlist of favorites which respects subclip i/o points, selected clips or all clips with either a rundown or reverse order playback. Then save them out as an XML to the drive and drop straight onto the timeline of your choice of NLE.